A question we overhear frequently from our new clients is where to start when setting up an affiliate marketing commission structure with their partners. Not paying enough can make it hard to find reps to work with, but overpaying can slash your profits. We’re here to help. Here are the four questions to answer that will help you determine your commission rates for your affiliate program. The first question is easy to ask, but complicated in arriving at an answer. That’s because your profit margins depend on many changing aspects such as volume, overhead, and even the general economy. We fully expect your margins to change over time, but you do need a general grasp of what you have to work with as your start your affiliate program. So for example, let’s say your average customer’s LTV comes to $300 over 2 years, and OC/customer is $30 each year. $300 -$30(2) = $240, the profit margin of each customer over 2 years. So, the maximum of what you can pay out in commission to the rep that brought in this new client, and break even, is $240. Of course, you’d never pay this much. 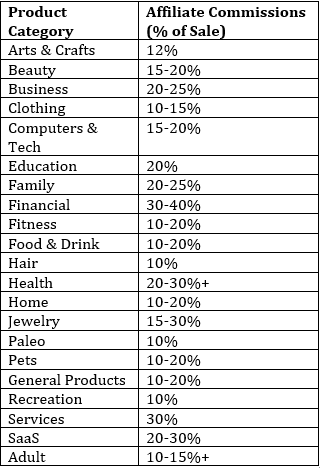 Almost all merchants pay a commission that’s based on a percentage of the sale, not the LTV. But knowing your ceiling is the first step in calculating the payouts you can afford to set with your affiliate partners. 2. What do competitors pay? Are these completely accurate to what you’ll eventually settle on? Unlikely, since these categories are very broad, there are no insights into how large or small the companies in this aggregate are, and even a single percentage can make or break your personal model. But even a general sense of these averages can help you narrow down to your base commission rates. Ask people in your niche. Business is by nature competitive, but that doesn’t mean business owners are so cutthroat that they aren’t willing to answer your questions. Reach out to companies in your niche and ask what their general rates are. You’d be surprised how helpful SMB owners can be if you just ask. Read competitors’ affiliate sign-up Terms & Conditions. Often times, many companies will flat out list the commissions rates they offer reps right on their sign-up page. Sign up for a competitors’ program. It’s not exactly Mission Impossible-levels of clandestine activities to sign-up on a form or email them to inquire about the rates that they currently have. Again, getting a general sense of what others are doing in your niche won’t completely be your answer, but it continues to narrow down your range. Additionally, you’ll know what you need to pay out to stay competitive. 3. What bonuses & incentives will you offer? You’ve got your ceiling. You’ve got your industry averages. Now let’s factor in the other incentives you can offer. One of the best ways to motivate affiliates is to give them something to help them feel like part of the family. From exclusive deals & events, to branded merch, to just excellent partner care & service; think about what your specific company can offer reps that can a) endear them to your brand, and b) help you stay competitive without strictly relying on monetary compensation. In other words, a 1% commission bump may not excite your reps. But a care package worth 1% might go a long way. 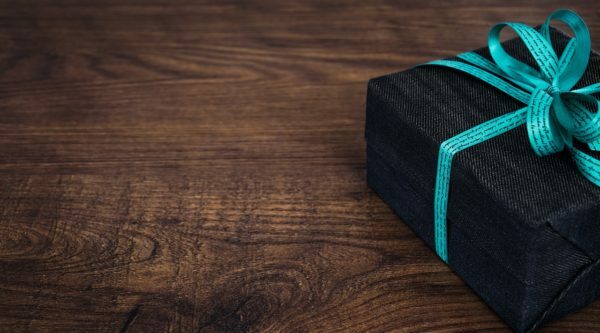 If your competitor offers a 20% commission, but you’re struggling to get to 15%, think of creative offers you can give to your partners that can keep them interested. Another strategy to keep in mind is to leave room for seasonal and temporary commission increases. You may not be able to pay your reps at 18% all year round, but maybe you can bump them up for a few weeks each year to help juice your revenue and keep reps motivated. It works, and it’s another way to stay competitive in your niche even if your rates are on the lower side of the general range. By factoring in these bonuses and incentives, you can narrow your commission range even more, as well as knocking the percentages down a bit. 4. How are future sales attributed? Finally, you have to decide whether affiliate sales after the first one are worth the same amount to your business. According to the Harvard Business Review, “increasing customer retention rates by 5% increase profits by 25% to 95%.” While that speaks to mitigating churn, the reason it’s more profitable is because it’s easier to sell to customers who have already purchased once from your business. Thus, that first sale is more valuable than subsequent sales. So if your affiliate marketing is continually bringing in repeat customers, are all those sales worth the same to your business? Not really. So it’s good practice to offer a higher commission for bringing in a brand new customer making his or her first purchase. This incentivizes your reps to go after people who have never shopped with you before, and also saves you money since commissions on subsequent sales will be lower than the initial. This way, it can make more sense to offer your reps, say, 25% on first-time purchasers and 15% for repeat customers; instead of a flat 20% across the board. Overall it should save you from shelling out too much on customers who probably would have bought direct from you anyway. You can even put a cap on regular customers (ie. after 10 transactions, your affiliate no longer gets any commission). Answering these four questions will funnel down to the rates that work best for your business, at least to start. It’s good practice to evaluate your rates at least quarterly to make sure that they’re not only still competitive, but make fiscal sense for your bottom line.